There are plenty of reasons for why someone would want to transfer the music from iPad to computer. If your computer is broken, or just got a new computer and you will have to transfer music from your iPad to the new computer. If you have purchased all of the music from the iTunes, you can simply log into your new computer with the same iTunes account and all of the music will be downloaded on this computer. 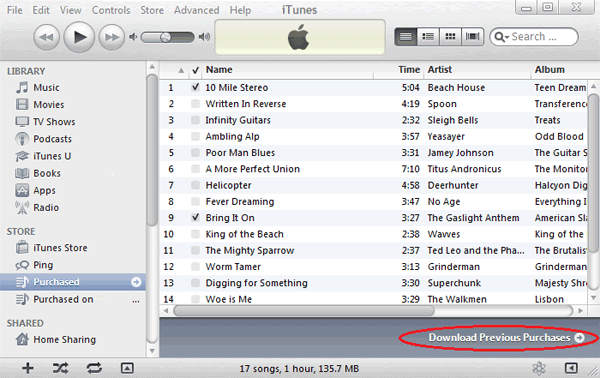 However, if you have downloaded music from different websites, you cannot simply sync the old music to the new iTunes. This is because Apple will never allow users to transfer the music from the iPad to the computer to prevent the piracy. 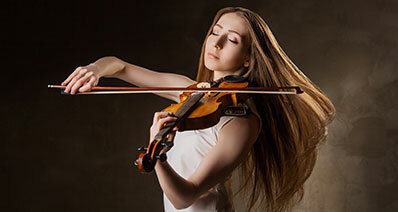 In order to resolve this issue, you can use a third party software to transfer the music to the iTunes Library or a particular folder on your computer. 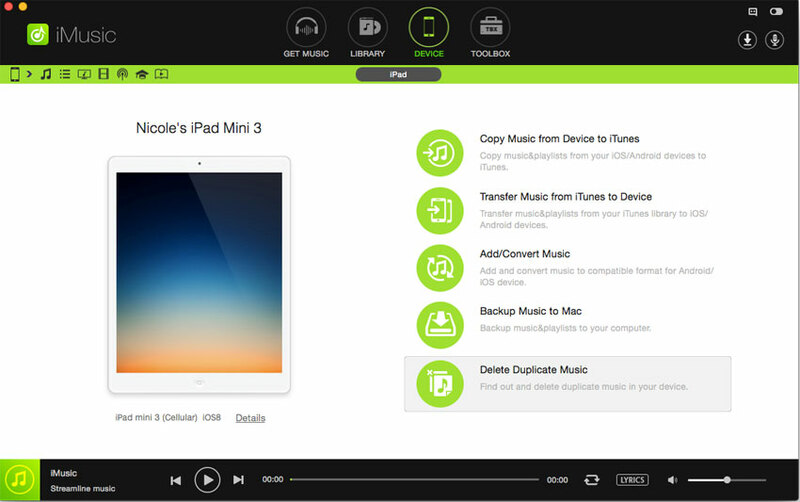 1 click to transfer music from iPad to computer (Windows PC and Mac). Copy music from iPad to iTunes Library without generating duplicates. 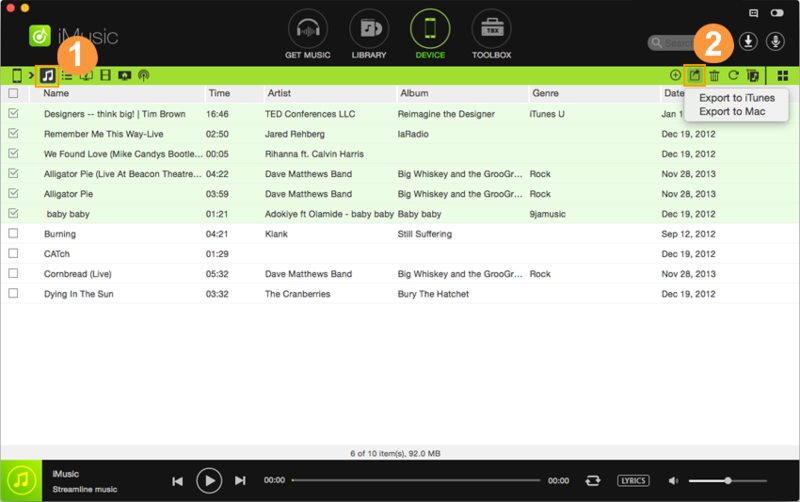 Sync music from iTunes Library to iPad without iTunes (no data lose). 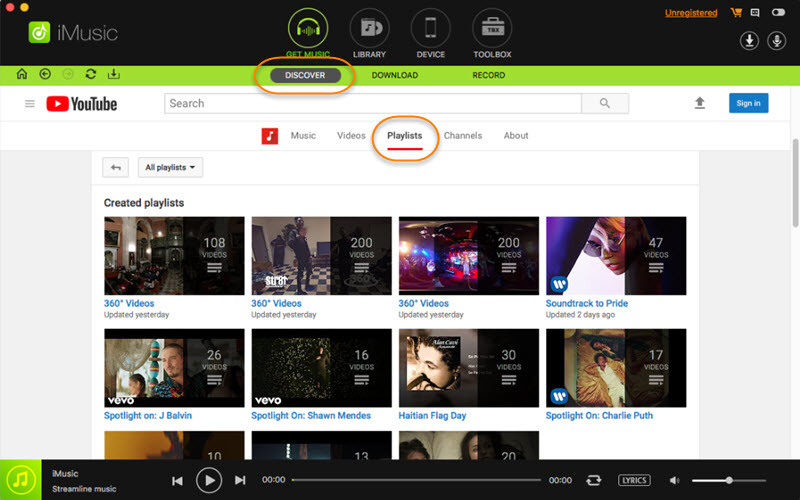 Discover and download music from the built-in music library. 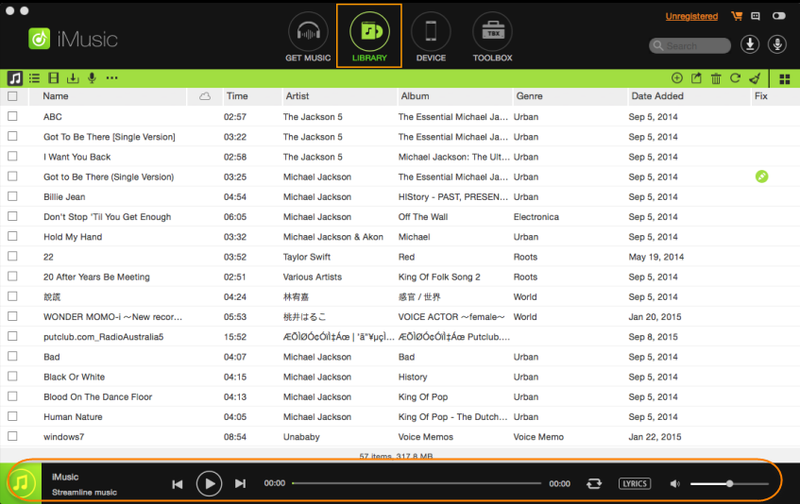 Download music from more than 3000 music sites and record music from unlimited music sites and radio stations. As explained above, iMusic is available for both Windows and Mac OS X, first, you will have to download the software from the links given below and install it on your computer. Connect the iPad with the computer using USB cable and run the iMusic on your computer. Click “DEVICES” tab on iMusic to see iPad. There is an option “Transfer Music to Mac (PC)”. Click it to save music from your iPad to your computer. Click “DEVICE” tab to see your iPad. And then click the music icon on the left side to display all songs on iPad. Tick the checkbox before the song you need and click the export icon. Next, export the music to your computer. Step 1. Download and install the latest version of iTunes on your computer, after doing that run it as an administrator on your computer. Click on the icon as shown in the screenshot below. Now, login with your iTunes account that you used to purchase songs on your iPad. Once you have logged in with your iTunes account, click on the same icon and select the Purchased. Step 2. On the next screen, it will show all the tracks present on your computer. 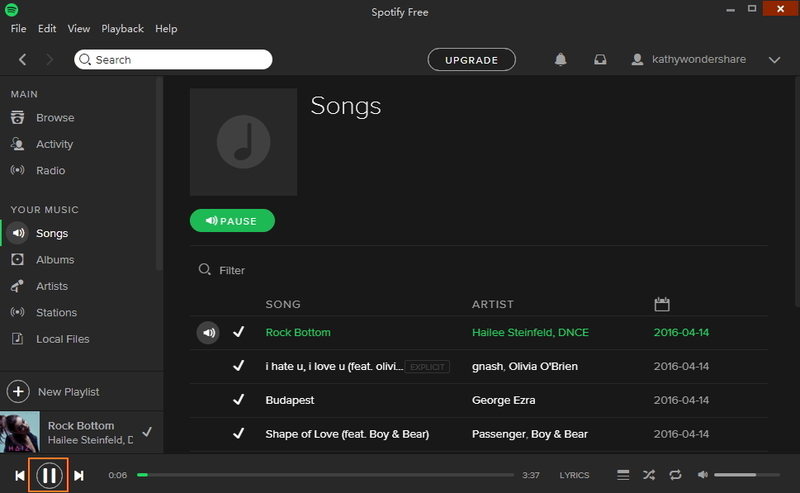 Click on the cloud button next to a song to download it on your computer. That’s it! Similarly, you can download any purchased contents in the iTunes on your computer.